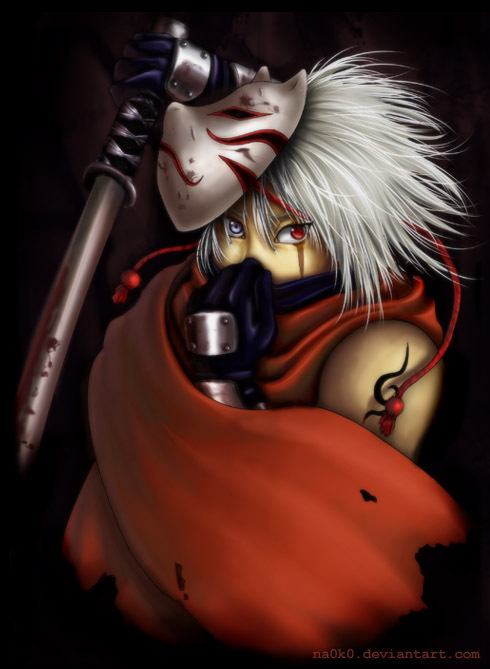 whoa, cool shades, aand,..evrything about it, my friend would LOVE this, she LOVES kakashi..to death...0-o still awsome! waaaay good! excilent in every way! the only bad thing me can think of is that his face looks slightly off... but oh well, still awesome! The coloring is really good. nice picture!!! love the eyes and the hair!!! CUUUTE! But there will be NO cutting of Kakashi's hair!! !